A major update to photo-sharing application Instagram was released today, and for the first time it includes new interface element designed by the extremely talented (and recently hired by Instagram) Tim Van Damme. Whilst the original Instagram launched a trend of "apps with a large action button in the bottom toolbar", Instagram 2.1 has been refreshed to include a more standard -- yet beautiful to look at -- toolbar with icons to browse your feed, liked items, profile, and of course take a new picture. 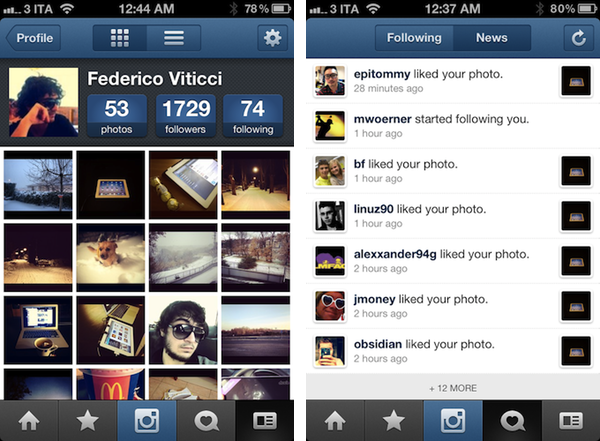 You can see more of Instagram's new pixels over at Tim's Dribbble. The new Instagram also features a new filter, Sierra, and a photo enhancing system called Lux that, according to the company, will enable you to make your photos more vibrant with just one touch. This functionality reminds me of Camera+'s Clarity effect, and it's interesting to see how Lux is meant to enhance the original look of a photo, not apply a vintage effect. I wonder if this will signal a change in the Instagram community's overall trend towards heavily modified photos. We’ve given you a new way to instantly transform the look and feel of your photos. In just one tap, Lux works its magic by making your photos more vibrant and bringing out details you couldn’t see before. Use it with a filter or without. I've played around with the update, and it's solid. 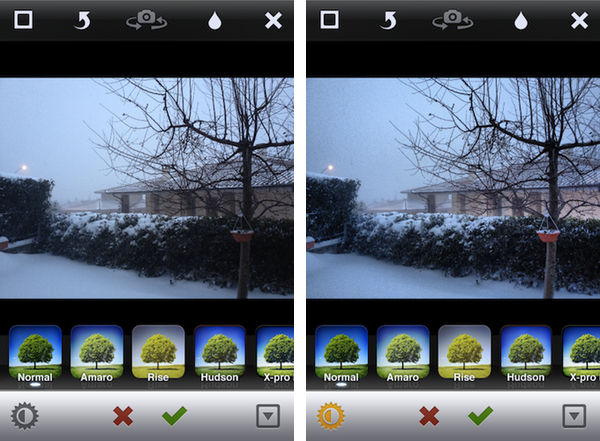 The app seems a little faster, the new UI is very elegant, and I think the Lux effect is very promising in that it will help users avoid the need of applying effects to photos just to make them look "different" -- I like how Lux focuses on making an iPhone's default output simply better. Other improvements in this update include the possibility of tapping on a push notification to get directly to a photo, and an option to change your profile photo from your profile page. 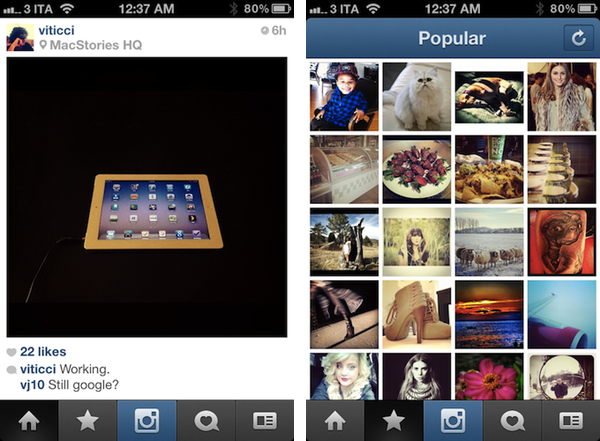 Instagram 2.1 is available on the App Store.